October is National Physical Therapy month! 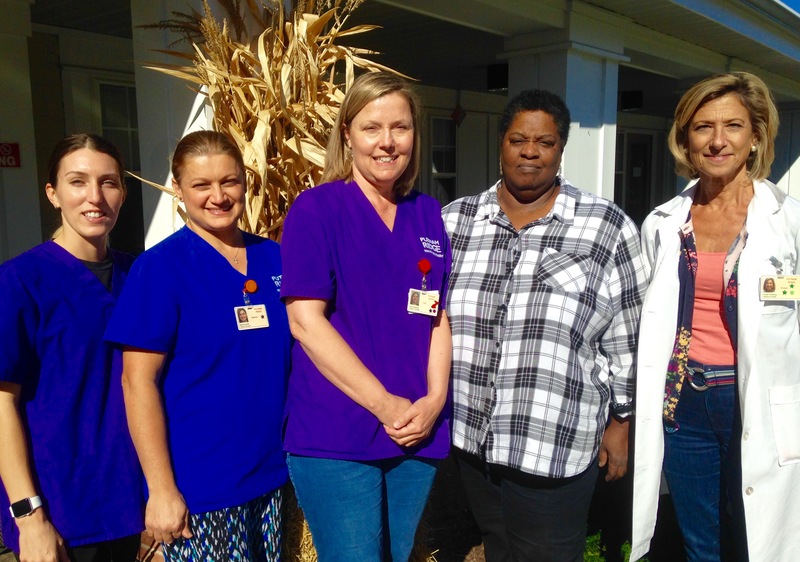 Putnam Ridge is proud to honor and celebrate the hard work of its staff members who provide physical therapy services to its residents and patients. Physical therapy differs from other types of therapies, such as occupational or speech therapy, in a rehabilitation setting. Physical therapy primarily treats the ‘physical ‘source of a problem, such as injured tissues, bones, joints and other structures, versus occupational therapy focused more on evaluating and improving a person’s functional ability to do tasks like dressing and bathing. After an injury or illness, oftentimes patients are referred from a hospital to a sub-acute rehabilitation care center for more intensive physical therapy. In order for it to be considered ‘medically necessary,’ the type, amount and length of services needed need to be outlined in a care plan that will likely increase specific goals. The goal of physical therapy is to improve functionality, reduce further loss of function, and decrease the likelihood of further injury or disease. Physical therapy has specific treatment protocols involving exercises aimed to treat assist in the recovery of musculoskeletal conditions. Reduction of pain, increasing range of motion and flexibility, strengthening muscles and improving balance are measurable goals that are essential for patient’s recovery. Physical therapy can also assist in the recovery of patients experiencing cardiopulmonary or neurological disorders, as well. Depending on the therapy needed, typical types of modalities include therapeutic bands, parallel bars, stairs, weights, electrical stimulation, ultrasound, moist heat, ice and recumbent bike. A combination of modalities may be employed, depending on the care plan and diagnosis, based on consultation with a physician. Monitoring patients for strength, flexibility, range of motion, balance, and steady gait are all part of the role of a physical therapist and are a recipe for rehabilitation recovery. Pictured here is the Physical Therapy staff at Putnam Ridge – Tiffany Petry, PTA, Serena Keklik, PT, Lori Chiriboga, PT, Nadine Medley, PTA, Vivian Frerking, PT, Director of Rehabilitation.